Home / About Us / What Are Macros? Carbohydrates are found in the diet as sugar, starch, and dietary fibre. Following digestion, all carbohydrates are broken down into glucose, fructose, and galactose which play a major role in the storage and transport of energy. They are our main source of fuel. The source of carbohydrate will have an impact on the speed of digestion and absorption and therefore, the rate at which the nutrients reach our blood and can be used or stored as energy. Strategically adjusting the type and amounts of carbohydrates in our diets can lead to major improvements in body composition, performance and recovery. The amount of carbohydrates needed/tolerated per individual will vary more than any other macronutrient. 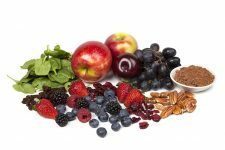 A note on fibre: Although we do not digest or absorb dietary fibre, it is critical for our health. Our blood fat levels, colon health, intestinal motility, gut health and satiety are dependant on a proper dietary fibre intake. Fibre is another nutrient that can be strategically placed in our diet to help us remain feeling full between meals when consuming lower calories. Our bodies break down fats into fatty acids to be used for both energy and regulation. There are three main types of fatty acids – saturated, monounsaturated, and polyunsaturated. Each have subtle chemical differences that dictate how the fatty acids act inside our bodies. 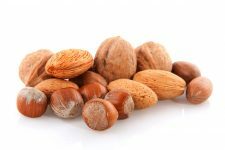 To improve health, protect our hormones, and reduce the risk of chronic disease, our goal should be to balance our fat intake with an ample amount of unsaturated fats and a balanced intake of omega 3’s and 6’s. At the same time, we should keep an eye on our saturated fat intake while trying to avoid industrially produced trans fats which can pose significant risk to our health. 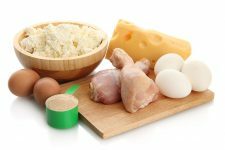 Proteins are broken down into amino acids which are critical for almost every metabolic activity in our body, including providing energy for the creation of structural and functional components of our cells. The amount and timing of our protein intake will play a major role in building or maintaining lean tissue, boosting metabolism, providing satiety, and maintaining a healthy immune function. Protein can be consumed through a variety of animal and plant-based sources. However, most plant-based foods do not contain all the essential amino acids necessary for muscle growth or maintenance. Therefore, plant sources of protein should be varied and general plant protein combination guidelines should be followed. Our Registered Dietitian chooses to follow a plant-based diet and can help provide education and clarity on the proper sources and how to fit them into your daily intake! 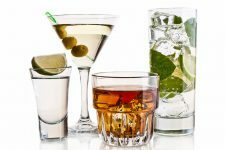 Alcohol is also considered a macronutrient because it provides the body with energy, however, the health benefits are limited and excessive alcohol consumption can lead to a variety of long-term health risks. These risks include the development of chronic diseases and other serious health problems including high blood pressure, heart and liver disease, and cancer. However, in moderation, alcohol does not pose a risk to our health and is consumed in many cultures while socializing and celebrating. There are myths that even small amounts of alcohol will prevent fat loss, but this simply isn’t true. While in many cases excessive alcohol consumption is the culprit for unwanted weight gain, this is due to the excess calories that come with over-consumption, not the alcohol itself. Simply “hitting your macros” is not enough. Your micronutrient intake should not be ignored. 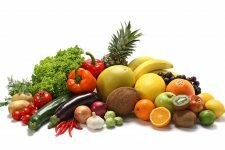 In fact, getting an adequate amount of vitamins and trace minerals in our diets is crucial for our overall health, performance and body composition. This is why we provide education on the types and amounts of foods that provide these important nutrients. After we identify and remove nutrient deficiencies from our diets, consuming the right type and amounts of macronutrients will ultimately promote significant change in our body composition. This is why macronutrient education is a priority in our coaching program. To learn more, read about our programs here or contact us directly to get started. Our programs are covered by most extended health plans.